First visit Dave Beckermans guide to using iView and PayPal as it covers an awful lot of the basics you will need, The main difference between his method and mine is that he has individual sizes and prices for each picture where as my method is designed for a gallery where all the prints are the same sizes & prices. Take a look at the Galleries on this site, to get an idea of how the web pages generated by this method. While you are there why not buy a picture or two.....you know you want to. Unzip the contents into the iView HTML template directory which is under the Plug-ins directory of iView media pro. Having made all the changes, save the file. Now go to iView and select the items that you wish to appear in your gallery. On the Theme tag check the settings. Click the Theme Fields Tab and change any fields that you need to. Click Make... and chose a directory to load the gallery into. That's about it, if you have any questions please add them as comments at the bottom of this article and I will see if I can help. I've been a bit busy over the last few days changing the Galleries and Exhibitions Sections of the site. The site even includes the obligatory gradient background that all css based sites seem to have these days. The main reason for this is that I wanted to change the way the galleries were generated. Previously I used Breezebrowser to generate the web galleries through The EOS template. There were two main reasons for deciding to change. Breezebrowser is an excellent product and I use it at the front end of my workflow to sift through the images and quickly sort out the shots I don't want. The trouble is that generating web galleries is usually an end of workflow thing for me, and by the end of the workflow my images are all safely stacked away in iView Media Pro. So using iView would be a much better option. I decided to use the iView HTML generation technology combined with the Paypal Shopping Cart system to produce exactly what I wanted. In a future blog I will provide some instructions on how to do this yourself for those who are interested. As I may have mentioned I am the Photo Locations Editor for Ephotozine. The idea of the Locations Section is for people to share their favourite photographic location with other photographers, whether it is ideal for Landscapes, Architecture, Wildlife or anything else. Keith Henson of Northscape has produced a very interesting article on composition worth of a read by beginners and experienced photographers alike. 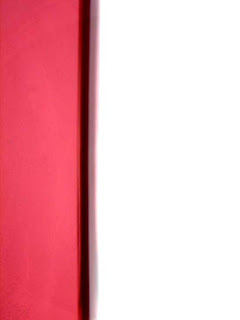 Also of interest is Paul Indigos series on Design in photography - Part1 & Part 2. Hopefully Paul will get round to writing the other parts soon. Spring Gold - Which compositon rules have I use/broken here? I have been having an interesting discussion about abstract images with Lewis R, its always interesting to discuss with other photographers the "why" of photography as well as the "how". I'm not sure why I like it...I just do! Why not visit the rest of his abstract photography blog, there are some very interesting images there. Apart from maintaining this fine blog-thingy, I am also the Photo Locations Editor for Ephotozine. The idea of the Locations Section is for people to share their favourite photographic location with other photographers, whether it is ideal for Landscapes, Architecture, Wildlife or anything else. I have just posted up a report for Durdle Door which is a very beautiful part of the world and a great place to be early in the morning. Following on from yesterdays colour enhancment tutorial. I thought I would show the different methods of boosting colour and their effect. It seems that LAB colour enhancement works well on images with a low range of tones, for images with a larger range of tones then Digital Velvia works better in my experience. 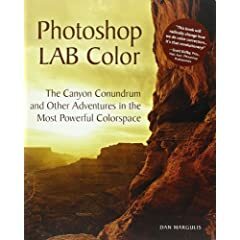 In an earlier blog I mentioned that one of my Christmas presents was Photoshop Lab Color: The Canyon Conundrum and Other Adventures in the Most Powerful Colorspace which, as it goes, is a very long title for a book. Well I have finally finished it and I have to say it is really rather good. The easy writing style helps, the tutorials clear and there is a CD of images so that you can try it all out yourself on the images in the book. The LAB colour space is designed to work in a similar way to the human eye and as such allows us to do things that are almost impossible in other colour spaces. When we view a scene we often perceive it as much more colourful than the film/sensor records it. Anyway whilst on ephotozine the other day I uploaded a modification to this picture of Filey beach by Neil Davis. I enhanced the colours with a simple LAB move that I learnt from the book, I promised to explain what I did to Neil, so here's how to do it. The image has a very slight blue cast so we need to fix this before we enhance the colours otherwise we will end up with a bluer cast. I Selected Image>Adjustments>Colour Balance and moved the yellow/blues slider towards Yellow a little (about -5) and repeated this with Shadows, midtones & highlights selected down the bottom. Now its time for the lab magic. Select Image>Mode Lab Colour. The Image>Adjustments>Curves. We will ignore the lightness channel - you'll have to get the book to see what that's for, and select A from the channel drop down at the top of the screen. Now select channel B at the top and do the same with that. Click OK. In the next blog posting I shall show a comparison of the different colour boost methods for you to compare. The modification is to use levels to help fix the underexposure of the shot. Generally it is best to get the exposure right in camera by adjusting the exposure compensation using the histogram. But sometimes its not possible, especially with a fully automatic camera, then it is time to reach for the levels tool in Phootoshop. The important bit is the graph in the middle. What this is showing is the range of the tones in the image from pure black on the left to pure white on the right with the midtones marked by the pointer in the middle. But hang on a second! this is a colour image why am I talking about Black and White? Well as far as the levels are concerned everything can be represented on a scale of Dark to Light. A very dark blue being a little to the right of black and a very pale blue appearing just to the left of white. Looking at the graph (histogram) we can see that the image has most of its tones gathered to the left (dark) end of the scale with very little happening in the light end of the image. So how do we improve the exposure? I have often seen the advice in photo mags and books that for the best light you need to be in place half an hour before sunrise. Well I am coming to the conclusion that this is tosh! I recon you actually need to be there at least 45minutes and ideally an hour before sunrise. Now I know what your thinking..."blimey that's an even earlier getting up time". Well yes it is, but there is not much difference between getting up at 2:30am and getting up at 2:00am really, both are pretty nasty! The thing I have noticed is that quite often the spectacular sunrise colours happen up to 45 minutes before sunrise. But every time it's different. Some mornings the sunrise just doesn't happen, so have you wasted an extra half hour in bed? Why not use the time to practice night shots or painting with light? I often take a torch or flash gun with me for this very eventuality. So next time you are planning a landscape trip, why not set that alarm clock half an hour earlier? Chris Calver is a brilliant of landscape photographer who captures the beauty of his native East Anglia with a seasoned eye. Visit his website to give your eyes a treat. Quite a few people have asked me if the should upgrade to the latest version of Windows- Windows Vista. Before I answer the question I should state my position on Microsoft. You will find an awful lot of rabid Microsoft haters out there who seem to see MS as the root of all evil and that all software should be open source and free. Another school of thought is that "no one got sacked for buying Microsoft" and you will find an awful lot of IT managers in this category. I try not to fit in either camp, and would much rather take a pragmatic approach based on what works for me whether it is open source or not. My view of MS is that when faced with competition they can produce some of the best software out there, but when they don't have any competition they will sit back and not bother. A prime example of this is Internet Explorer. Whilst MS were in the "Browser Wars" with Netscape they first produced a "me too" product, then continually developed and refined it till they produced a much better product than Netscape. Microsoft then sat back and relaxed for a few years as they dominated the browser "market" completely. Firefox then appears on the scene and starts to make inroads into that market. Lo and behold, Microsoft frantically rush to catch up with IE7. The reason for this is simple economics, Microsoft don't charge for IE its only value is as a platform for MS to project its products into enterprises and homes. Investing money in a free product for no return would be tricky to explain to shareholders. MS are responsible to their shareholders at the ed of the day. So, should you upgrade to Vista? My answer is an emphatic NO. Vista is only an operating system. How much time do you actually spend doing useful work in the operating system? Not very much I reckon. All most people use it for is starting their applications and occasionally organising their files. Most of your day is actually spent in the applications: your web browser, email, office, photo processing applications, etc,etc. Improvements in the operating system aren't going to impact your productivity very much at all. Upgrading the OS is usually a week or so of mucking about learning the new stuff followed by a week or two of going "oh is that it". If your existing OS works fine why pay good money to upgrade it, when it will actually make very little difference to your life. Much better to invest that money in something useful like Raw Processing software, or a new lens, or beer, or fags. If you buy a new PC and Vista comes on it that is fine, stick with it and learn of all the joys that Bill G and the guys have built in to this new wizzy version. I'm quite positive it is better in most respects. Just don’t bother to upgrade your existing machine..it won't enhance your life.